For 14 years, we Smoothtel & Data Solutions have deployed this solution and served customers large and small, in diverse markets and with varying use cases across education, government, and industry segments. 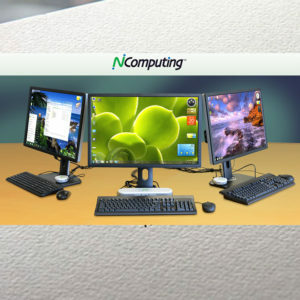 Watch Ncomputing Case Study Video. 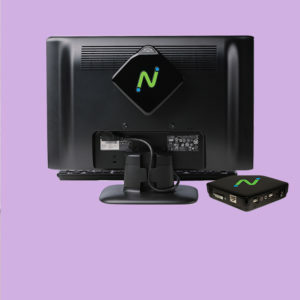 Kenyatta University uses NComputing desktop technology to experience a wider access to ICT for teaching and learning. Kenyatta University was facing major challenges in their Computing systems. They needed to evolve from traditional PCs to a solution that would improve desktop virtualization and enhance Smarter Working. A lot of power (electricity) was being consumed. Maintenance costs and servicing was expensive. Students were frustrated in Computer labs as PCs were becoming very unreliable, requiring random maintenance and replacement. Reduced working space due to bulkiness of hardware and Computers. Theft of computer accessories and hardware. L-series and M-series for V Space. 100% customer satisfaction from the management and students are using the NComputing system. Smooth learning experience for Kenyatta University. Reduced expenditures in electricity bill and maintenance costs. Kenyatta University received an NComputing green award for embracing the solution for higher education.